The advantage of covering a motorsport event, is the chance to meet up with the spectators, persons who are also motor enthusiasts. 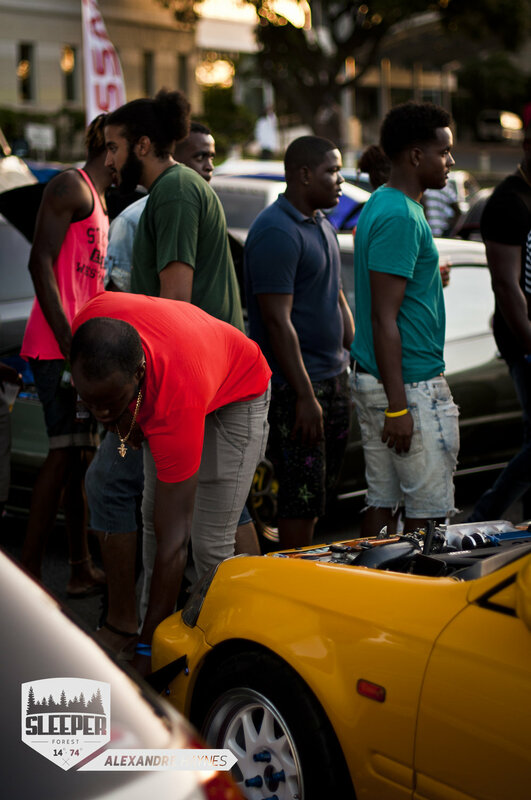 They gather up in the parking lots and turn the parking lots into meets for themselves as well. Ever had that feeling of walking in a candy store as a youngster, and literally being incapable of finding the first place to focus your eyes on? Imagine you could feel that way in a car park. Honda, Honda, Honda, but not your grandmother's Honda. EKs, DC5s, DC2s, EP3s the full assortment. Hondas are pretty common cars on the road, and to modify them you really have to be creative about it. But when you are, the results totally worth it. This Honda, really took my full attention though,as well as everyone else's, when the hood came off, the whistles went out. Feast your eyes on this K-Swapped Honda, you haters. Seriously though, unless you really hate Hondas, anyone with an appreciation for modified cars would really love this build. 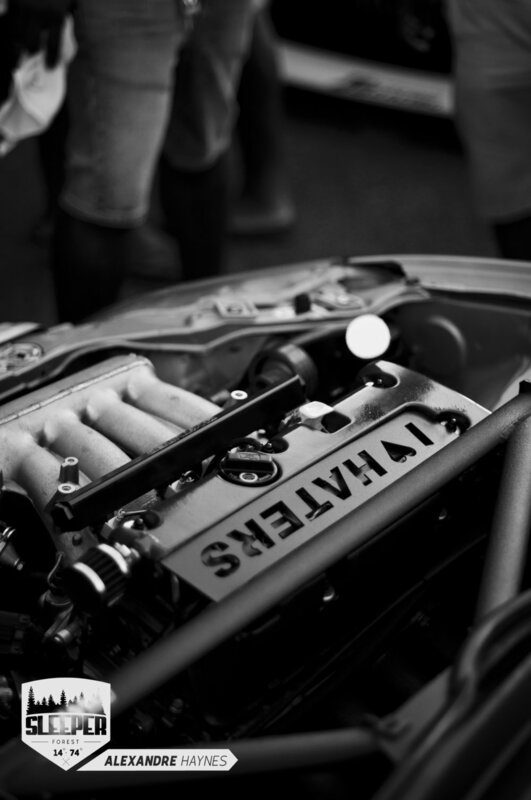 Hondas are all about the small details you add that make it yours. With the car being a platform, and so many aftermarket parts being available for them, and the owner really took advantage of this, and went all out on his build. 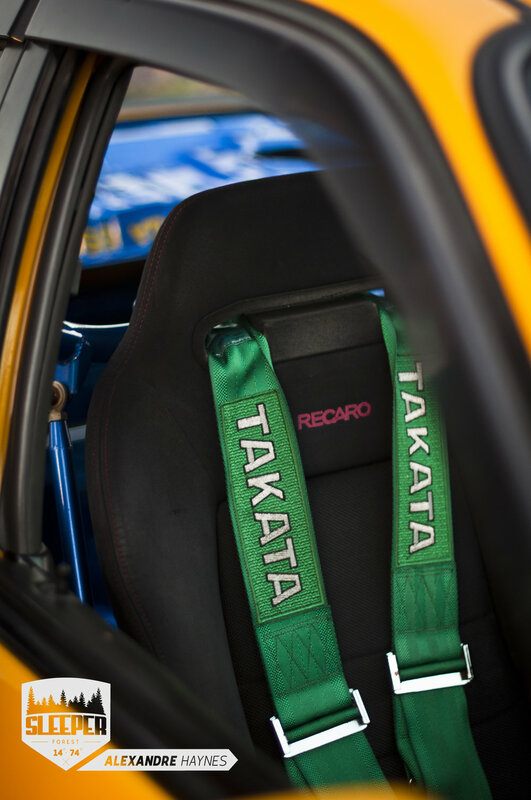 The rear seats were deleted, and a roll cage installed, along with a Takata 5 point harness. Adding a Dragon? Now that's some personality. 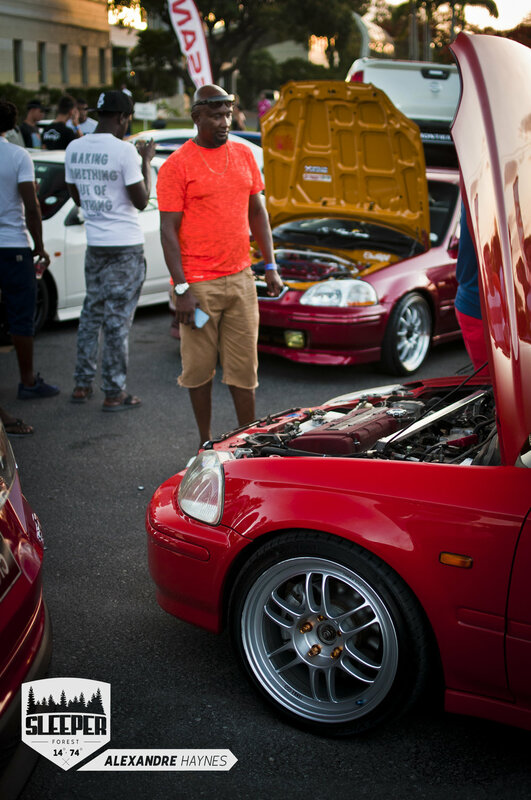 A thriving Honda community is definitely alive and well here in Barbados. Look out for more Honda content coming soon!